China Diversifying Reserves into Equities and into Gold? Last year the Chinese government decided to change its policy on the composition of its reserves to reflect the composition of its trading partners. This was an effort to hold currencies sufficient to cover 'rainy days' with these partners. But as reserves are at levels way above those needed for a 'rainy day', the Chinese government finds itself holding well over a $ trillion more than it needs and this amount is rising by $250 billion a year and sure to rise. So what can they do with these 'excess' funds? They can't enter the foreign exchange market to sell the U.S.$ component of these reserves, as they would certainly hammer the value of the $ itself and probably start a run against it, so that's out. Will they invest in gold? We believe they will, but the sheer size of their reserves makes it impossible for them to go into the open market to buy gold, after all a tonne of gold only cost $20 million, 50 tonnes a $billion. What will be easy for them to do is to buy gold for their reserves via the purchase of local production, now around 250 tonnes a year [a mere $5 billion], but this will be paid for with Yuan. The Chinese want to keep the surplus away from the Chinese economy and avoid increasing the inflationary printing of money, so they will be cautious when doing this. Such caution will, of course, be tempered by a continuous expansion of the local money supply to accommodate the larger economy and its consequential demand for more money. So the purchase of local gold is certainly on the table of choices in front of the Bank of China. A more appropriate way to ensure that there is gold in China is to expand the size of the local Chinese gold market through the widening of the gold market and direct encouragement to the Chinese citizens to buy gold and we believe they want to do this. After all the holding of gold by its citizens, still leaves that gold within its reach. Investment in other Assets - The U.S. $ & Treasuries. They can impose controls over the excessive selling of these instruments much as other nations [e.g. South Africa] did in the past when they placed a moratorium over the repayment of debt, when there was a run on the Rand. They can even institute a dual currency system [as did Britain in 1971] whereby capital had a different rate on the foreign exchange markets to that given to commercial transactions. This ensured investors suffered if they withdrew their capital from the country and rewarded those who introduced new capital to the country, thereafter. Either way the States can keep a grip on China's and all other $ investors money, justifying it in the national interests of the U.S. China's immediate problem is that it is stuck with a currency that is likely to fall and vulnerable to government control, if the $ system is rattled. What other options are open? So what options are left to China? China has to move away from their excess dollars and its derivatives, so as to lower the risk from these holdings. There is one certain way, which has worked in the past, but could meet obstacles [if the politicians got excited - a near certainty on this matter]. 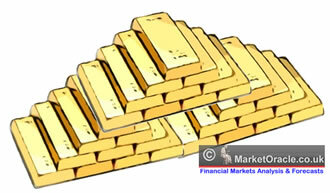 It is to convert the currency and their derivatives into assets. This means China must move its money out of the 'parking bay' in Treasuries and buy equities [and more solid assets as well]. No, not across the board to be minor shareholders in a sound well spread equity portfolio! That would see China immersed in the U.S. economy under the control of the U.S. authorities still, but a worse situation than before, when they held Treasuries. In the position of non-controlling equity holders they would now find they faced far greater risks, ones that no Central Bank could countenance. China would have to buy majority positions in companies or even in their entirety, so that they controlled them . Such a policy would pose no risk to the $ exchange rate [even foreigners will be happy to be paid in the U.S. $ at present] and China would then find itself under the same legislated protections as U.S. companies are now inside the States and free from U.S. influence in the case of foreign companies in whom they bought majority stakes. The damage caused by the flight from Treasuries would be ameliorated by the actions of the Fed to some extent and be more than compensated by the potential increasing value of their new equity investments. After all if U.S. Treasury rates rose strongly they would pull the U.S. equity market down and cheapen the purchase prices of the shares the Chinese sought - a fair quid pro quo? Such policies would be the 'spoils' of the economic battle the Chinese are winning. Their selective conquest of the U.S. economy and its expertise would thereby enhance Chinese growth and ease its way into the position as the top global economy? What would be the first step on such a road? Buy into a company that will get you the majority positions in your target companies. Last week saw the announcement of China's intention to use $3 billion of its foreign exchange reserves to buy a 9.9% stake in Blackstone, the U.S. buyout fund. The investment will coincide with Blackstone's landmark $40 billion stock market listing, expected in the next few months. Quite rightly, Stephen Schwarzman, Blackstone's chief executive, hailed the deal as an "historic event that changes the paradigm in global capital flows." Cleverly, under the terms of the deal, the Chinese government has given up its voting rights associated with the stake in Blackstone. Wisely, the move is aimed at defusing any U.S. political opposition to the deal. In its prospectus, Blackstone warned that its priority was to return cash to the private investors in its funds, rather than to pay dividends to shareholders. After all the Chinese want more valuable assets not dividends. The investment will come through a new Chinese agency charged with managing part of the country's $1,200 billion in foreign reserves. The price of the stake to be sold to Beijing will be at a slight discount to the one paid by investors in the initial public offering. It is understood that China's foreign reserve agency has agreed not to invest in rival private equity groups for 12 months. We are sure Blackstone had to pay a heavy price [looking after China's interests?] to get this 'monopoly'. This is the start of a new and likely perspicacious policy by Beijing. The first obstacle in its way will be when politicians see the buyouts as a threat to the U.S. This could be well down the road. And now Saudi Arabia diversifies from the $ into assets. For similar motives, Riyadh-based chemicals company Saudi Basic Industries Corp. is in the lead to buy General Electric Co.'s plastics business. It looks like bidding for the business would approach $11 billion. But the Saudi government is under the thumb of the U.S. and would never pose a threat to the U.S. as they are wholly dependent upon the U.S. for its power. The Chinese are not under the influence of the U.S. Such a takeover would be seen as tame foreign direct investment into the U.S.
GE, the world's second-largest company by market capitalization behind Exxon Mobil Corp., has close ties to the Saudi government. In December and January alone the company received about $2 billion in orders for Saudi infrastructure projects. China is to follow this thinking, but with $1.2 trillion to spend, so far, they are able to impact on the U.S. economy heavily. This will make the companies it buys extremely attractive, as they will be backed by the Chinese government with a whole nation to develop. But don't be naïve enough to think that the U.S. economy is going to benefit, as a whole. The purpose of the investments will be to benefit the Chinese economy first. Any U.S. benefit will be incidental!